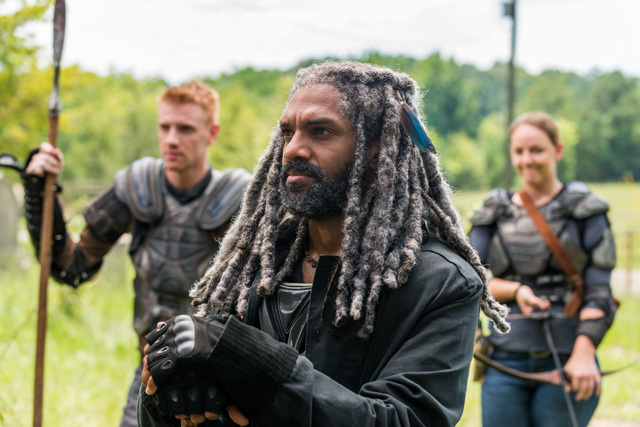 The Walking Dead returned Sunday night for the second half of its seventh season with increases in total viewers and key demos from December’s midseason finale. Sunday night’s The Walking Dead midseason premiere delivered 15.9 million total viewers, 9.9 million adults 18-49 and 10 million adults 25-54 in Nielsen live+3 ratings. Total viewers were up 5 percent from December, adults 18-49 increased 3 percent and adults 25-54 increased 5 percent. Talking Dead remains television’s #1 talk show, returning with 5.6 million total viewers, 3.2 adults 18-49 and 3.4 adults 25-54 in Nielsen live+3 ratings.